1. I find some terms used in real estate are confusing. Could you explain some of the typical ones? f. SPIS – seller property information statement. A statement completed by a seller. It is not a mandatory form. Ask your salesperson or broker about this form. 2. How do I know if I am working with a person registered under the REBBA 2002? Answer: Visit our website (www.reco.on.ca) where you may search for registrants. 3. Must I sign a representation agreement with a brokerage/salesperson? Answer: No. A brokerage (usually through their representative) is obligated to provide you with a written agreement outlining real estate services being provided, any fees, etc. that is signed by the brokerage and presented to you for acceptance and signature. You are not obligated to sign this agreement if you do not wish to. You may also ask the brokerage to make changes to the agreement before signing it. 4. Does a brokerage/salesperson have to provide service to me? Answer: No. Only if they have agreed to do so. 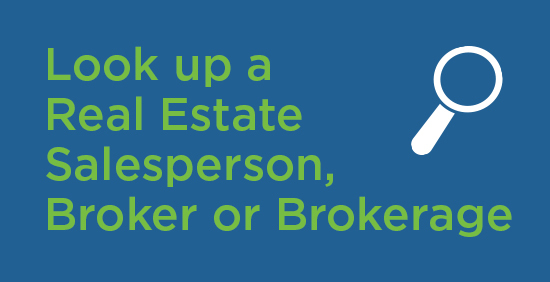 A brokerage may choose not to provide service to you (i.e. show you homes). 5. Is there a maximum or minimum time frame for a written representation agreement? Answer: No. There is no minimum or maximum time frame; however, if the agreement is for more than six months in duration, the expiry date must be initialed. 6. Can I limit a representation agreement to a particular property or city? Answer: Yes. 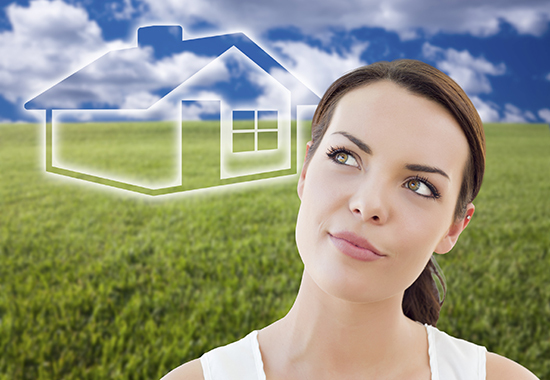 A representation agreement can cover a particular property, a town, a city, or the province. You should ensure the agreement specifies what you agree to. 7. Do I get a copy of an agreement I signed? Answer: Yes. You must get a copy. 8. What must be included in an agreement? Answer: The start date, an expiry date, services to be performed, any promises, amount of commission/compensation, any other terms/services agreed to. 9. Is there a set commission rate/flat fee? Answer: No. Commissions are not set or fixed by any regulation. They can vary based on the services provided by the brokerage. 10. Is the commission always paid by the seller? Answer: No. Buyers should confirm the commission arrangements prior to entering into an offer on a property. 11. The salesperson has promised to do certain things for me. What do I need to do? Answer: Make sure any promise is in writing expressing your understanding of the promise. 12. I don’t understand the representation agreement he or she has asked me to sign. What do I do? Answer: If the brokerage representative cannot explain a term of the agreement to your satisfaction, do not sign it until you do understand it. You may want to contact the broker of record or a lawyer for clarification of any terms of the agreement. 13. Is there a “cooling off” period to cancel a representation agreement? 14. What is a confirmation of representation? Answer: It is a form that is signed before you sign an Agreement of Purchase and Sale(APS)/Offer that confirms which brokerage is representing the buyer and seller and what type of representation is (i.e. client, customer, no representation) being provided. 15. How much should I give as a deposit? Answer: There is no set amount, amounts vary by local custom. 16. What is the purpose of the deposit? Answer: The deposit demonstrates the commitment of the buyer to the seller to complete the purchase. 17. Where does the deposit go? a. The deposit holder is identified on the first page of the APS and any deposit payment needs to be made to the holder named. b. Deposits are traditionally held by the statutory Real Estate Trust Account of the seller’s brokerage. 18. Are the deposit monies insured? Answer: If they are held in a brokerage’s Real Estate Trust Account the funds are insured under the RECO Deposit Insurance Program, up to $100,000 per claim, subject to the terms and conditions of the insurance policy. 19. Do I get interest on the deposit? Answer: Interest, if any, must be stated in the APS. 20. If my APS does not complete do I get my deposit back? Answer: The return of a deposit would be by written mutual consent of the buyer(s) and seller(s) or by court order. 21. If I don’t remove the conditions, do I get my deposit back? 22. Does a seller have to make me a counter offer/sign back? Answer: No. Once an offer is presented to a seller they may do what they want, such as accept, decline, make a counter offer or do nothing. 23. Does a seller have to give me an opportunity to make another offer? 24. When do I get my copy of the Agreement of Purchase and Sale? Answer: You must get a copy when all parties have signed the agreement.